In October of 2017, an amazing lady, Catherine Grace O’Connell, started work on a campaign to team Millennials with Midlifers like myself. As I began to explore what this was all about, I was thrilled to learn that someone had actually opened the door to begin “bridging the gap”. We, as women, are always stronger together but the likes of social media, internet, television and other outlets, it seems that those of us past a certain age are often looked upon as somewhat of a “has been”. I am FAR from being old!! Yes it’s true, the Millennials are likely to be more daring, are definitely more technically accomplished and perceive things in ways we Midlifers would have never dreamed of when we were there age. But, it’s also true that we Midlifers are not to be tossed aside and taken lightly. We still have so much to do and to contribute. Because of the lifestyle I live with my husband on the road, I meet people of all ages. I’ve often wondered when meeting Millennials, if they perceive us as old. What I do find really interesting is how I’ve watched people bring their children to Little River Band concerts and now those children are bringing their children to the concerts. And while I’ve always loved this fact, I have always quietly assumed the age gap meant that we couldn’t relate on levels other than the music. When this campaign began, I was paired up with Maria and Stacy of Hashtags and Handbags. 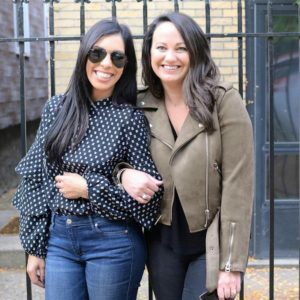 As I began to get to know them, I realized how wrong I have been about what the relationship between millennial women and mid-life women can be. These two amazing young ladies have been friends for over ten years, meeting in college. They studied fashion design and merchandising at the same university and even though neither of them are currently working in that field, they both have full time jobs. Not working in the fashion industry left both of them feeling a bit empty and they began searching for an outlet for the things they are passionate about; fashion, travel and writing. And so Hashtags and Handbags was born. As we’ve gotten to know one another through emails, our websites etc….I surprisingly realized I had so much in common with Maria and Stacy. Their home base is Chicago, a city that I love and spend as much time there as possible and the city in which my husband is from too. I studied fashion merchandising in college and like them, I’m not working nor have I worked in that field in years and years. They have a passion for being actively involved in charities and giving back and that’s exactly where Wayne and I are in our lives. Our path to give back is through the music of Little River Band. They also want to open a brick and mortar store featuring their own clothing line and while I’m not opening a store, I am in the beginning phases of working on a line of clothing. This campaign has shown me we are never to old to learn and just because we have more years and more life experiences, that doesn’t necessarily mean we are more the wiser. The Millennials involved in this campaign have shared through their stories, lessons of risk taking, authenticity, and spontaneity. Passion matters to them and they are confident, ambitious, and will allow a new perspective to change their focus on a dime. While I do believe that I have some of these characteristics, I am learning from my new, younger friends how to do them as mid-lifer with the zest of a millennial. And this is why I say, being older does not always mean being wiser! 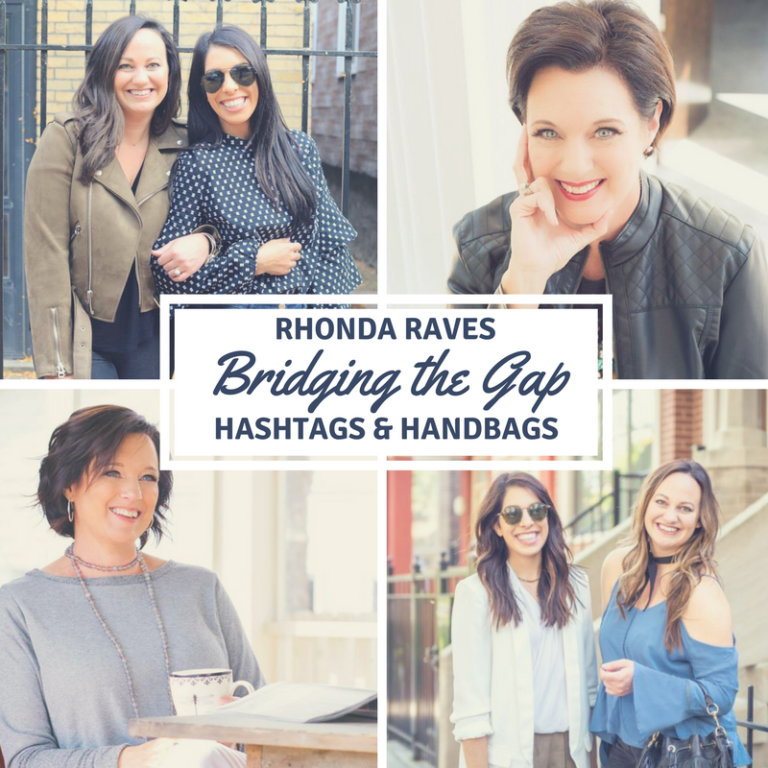 Rhonda, thank you for sharing the ladies of Hashtags and Handbags with Bridge the Gap! What amazing similarities you have with Maria and Stacy. I’m so glad that you joined me in this campaign and that you learned something from these millennial women! I totally agree, and how fabulous to meet these two through the campaign! !